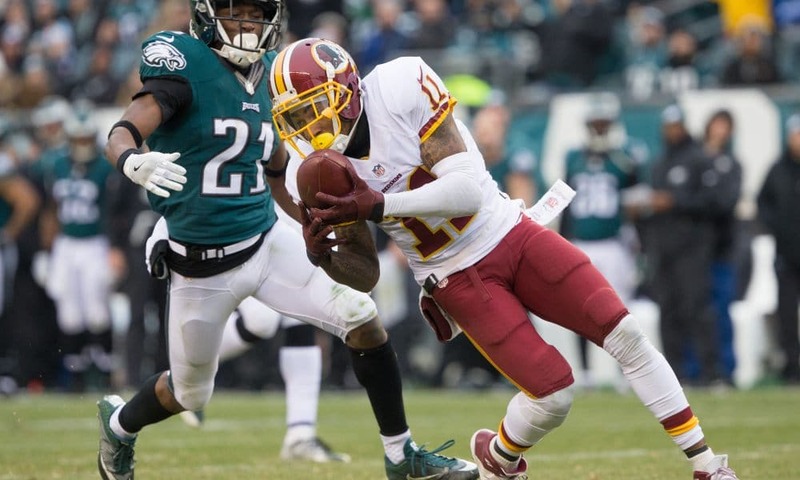 EX-EAGLE DESEAN JACKSON’S BLAST FROM THE PAST — AND FUTURE? 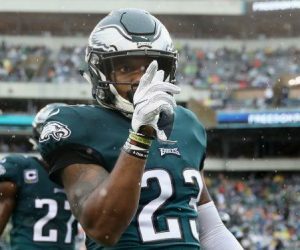 D-Jax dropped a hint last week that he might entertain returning to Philly as a free agent next spring. Call it a blast from the past! Jackson made a big impact in a Redskins victory in his return to Philly. 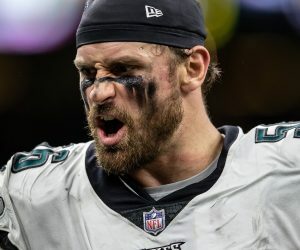 Jackson, who spent the first six seasons of his career with the Eagles, recorded three catches for 102 yards, including an 80-yard touchdown. Jackson and the Redskins won, 27-22, and kept their playoff hopes alive as they improved to 7-5-1. At the same time, Washington eliminated Philly from playoff contention. It was his second biggest output while playing in Philly as an opponent, and his third biggest against the Eagles in all. 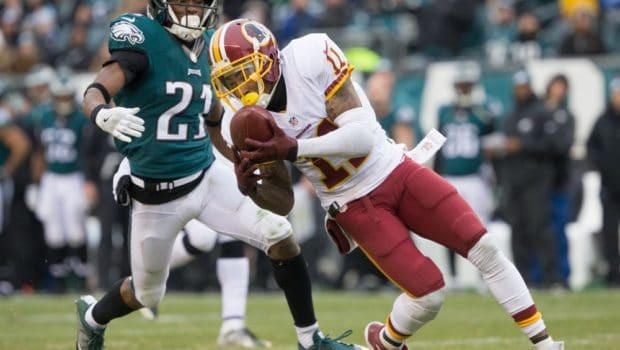 After signing with Washington in 2014 after the Eagles released him that offseason, Jackson shined in his initial return, catching five passes for 117 yards and a touchdown. Later that year, while playing the Eagles at FedEx Field, he caught four passes for 126 yards. Jackson’s 80-yard touchdown yesterday jump-started a sputtering Redskins offense. The team trailed 13-7 early in the third quarter when, on the second play of that possession, Cousins fired the pass downfield to Jackson, who had beaten Leodis McKelvin. 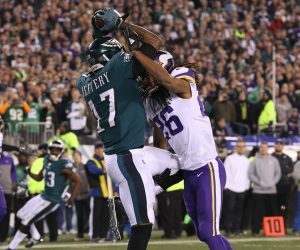 Jackson had to adjust slightly, catching the ball over his right shoulder, then slipped a diving tackle attempt by McKelvin and jogged to the end zone, half-turned back towards his defenders in his trademark showboating style. Jackson’s 80-yard catch wasn’t his only big play, however. He made a 21-yard catch along the sideline, which required great concentration as he managed to get both toes down before falling out of bounds. The Eagles challenged the play, but the call of a reception was upheld. Three plays later, Washington scored again, on a 15-yard pass to Pierre Garcon, extending its lead to 21-13 with 12 seconds left in the third quarter. Previous EAGLE ERTZ TO CRITICS: HOW DO YOU LIKE 10 CATCHES FOR 112 YARDS!